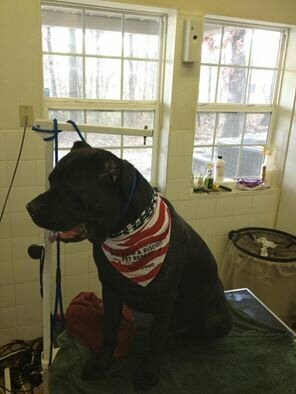 We also have a full service dog and cat grooming salon. 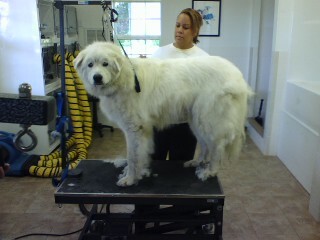 Our groomer's patience and expertise are the result of many years experience and are second to none. A general price can be obtained by calling us at 812-983-3900. However, an exact quote will only be given by our friendly groomers after they have an opportunity to see your pet and discuss your wishes. Copyright 2008 Bed, Bath, & Biscuit, All Rights Reserved.